With Halloween on the way and The Walking Dead back on air, it’s time to look at a classic that’s been re-released for PS4. Telltale Games created the video game version of the apocalyptic world of The Walking Dead, based on the Robert Kirkman comics, back in 2012. Although the gameplay was a little wonky, the story and writing got it the 2012 Game of the Year award. If for some bizarre reason you haven’t played this game at all, let me convince you. You play as Lee Everett, a man who’s on his way to prison because he killed a senator. This is when he encounters his first zombie attack. After he escapes, he meets Clementine, a young girl hiding in her treehouse waiting for her parents to come home. After an incident with her babysitter, Lee and Clem start a life-changing journey of survival and meet new people along the way. 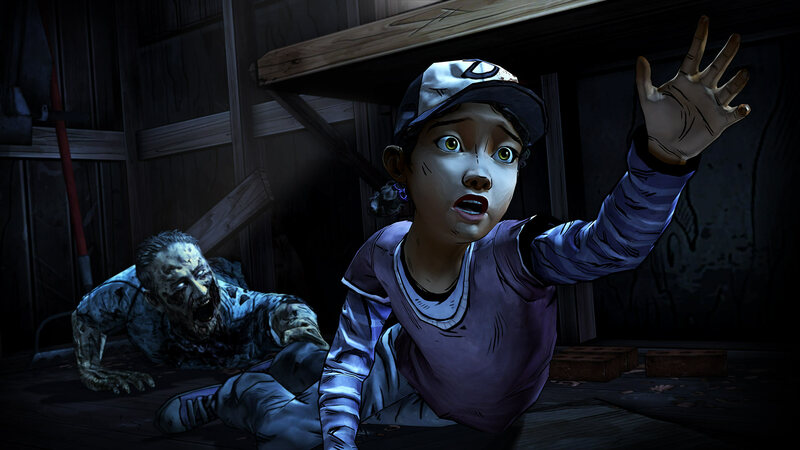 It’s the relationship between Lee and Clem that’s the heart of this game. As Lee, all you want is to keep Clem safe from the zombies and the living. Throughout the games’ five episodes, you need to make difficult choices that change the way people see you, even who dies and who survives. Some people say that despite that, some things are inevitable, making the game really linear. I would argue that Telltale Games has created an interactive experience instead of a typical game. Although I’m very happy I got to jump back into Lee’s world, I’m very disappointed that there are barely any changes from the older versions. The graphics are the same, and the glitches are still there, freezing the game somewhat often. Even though it does come with the DLC 400 Days, $30 is too much. I would’ve thought that it’d be the PSN PS+ free game of the month. I say definitely play this game, but not on the PS4.